Launch CRP429 is designed for professionals to find and solve complex issues quickly. It lets you scan for problems in the brake system as it supports the EPB feature. You can also check for problems in the diesel particulate filter by using the DPF feature. The scanner can also examine the exhaust system for debris, soot, and other contaminants. Moreover, with the tool, you can find and solve other DPF related problems, too. Launch CRP429 is a complete solution in all regards. It can rewrite code when you replace the ECU by using the injector reset service. It’s known for a lot of things including several more advanced features. 1.5 Who Should Take CRP429? Launch CRP429 is a one-stop solution due to its impressive list of features. It helps to carry out a full system scan and clear codes/DTCs, read live data from the ABS, SRS, engine, and transmission as well. LAUNCH CRP429 gives you a taste of being a pro. CRP429 scan tool will notify you when your car requires an oil reset. Once you perform the function, the light will go off. A faulty brake system puts not just you but others at risk as well. Seeing the brake light on can put the driver under pressure. Launch CRP429 can help you find brake-related problems such as poor sensors, fried wires, and solve them. You can enjoy a smooth ride with this beauty as it helps monitor the pressure in the tires. It is programmed to read tire pressure related problems as well. It’s important that your car’s filter performs properly or you could observe a lack of performance. The scanner informs you if there’s something wrong with the DPF. Some common problems include soot and diesel particulate matter that can get stuck in the filter. Put all your worries to rest and replace the ECU without any trouble. This scanner can help you write new code for the new ECU. 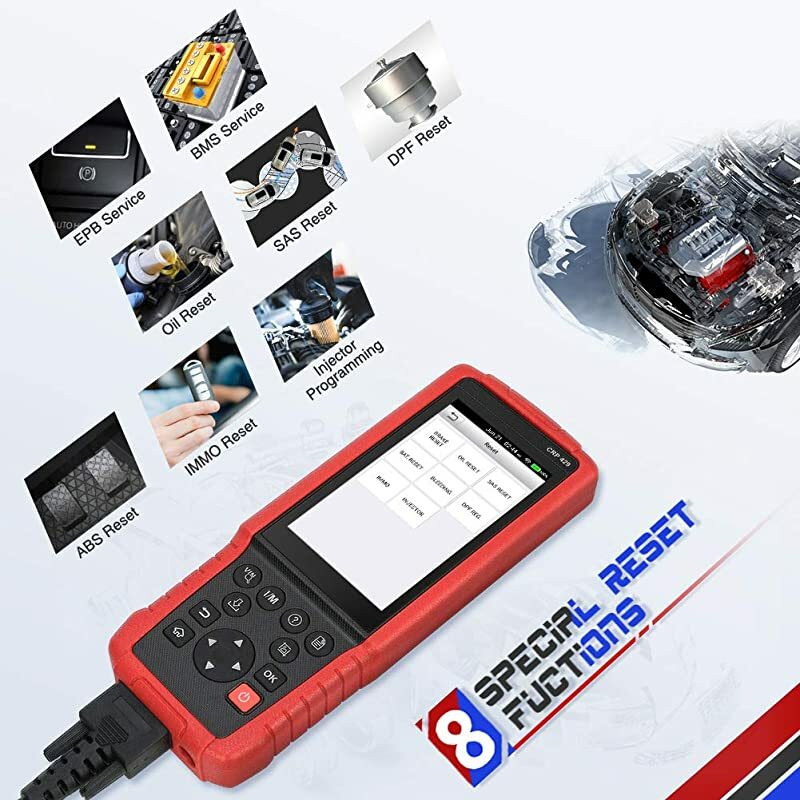 You can find problems in the steering angle sensor with this scanner. It helps clear SAS light when you fix the problem. Technology has made it possible to steal even car key information. This feature can provide safety by restricting such information from being hacked. You can perform a battery reset when you install a new battery in your car. The process takes very little time, and your new battery will be ready to use. ABS ensures safety by preventing the wheels from locking up when you apply the brakes. The ABS light indicates a problem with the system and can put you at risk. This scanner helps clear it. SRS is another important light that indicates an issue with the airbag system. It illuminates a few times when you start the car and may also flush while you drive. LAUNCH CRP429 can solve problems with SRS as well to help you drive safely. 8 special reset functions of Launch CRP429. Do not worry about having to spend hours understanding your car and solving problems as this beauty lets you save time. 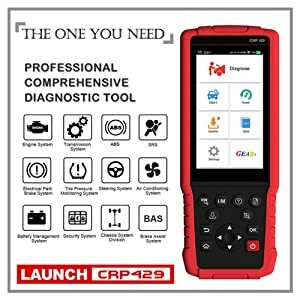 Launch CRP429 only takes a minute to diagnose various systems including ABS, SRS, transmission, body, fuel system, powertrain, chassis, air conditioner, and engine. This scanner has a powerful battery of 4000 mAh which recharges automatically and runs for several hours. With this scanner, you’d be able to request various component tests such as catalyst converter and EVAP. Moreover, it also lets you conduct bidirectional tests in the ABS as well. Launch CRP429 works at such an impressive speed thanks to its A5 quad processor. 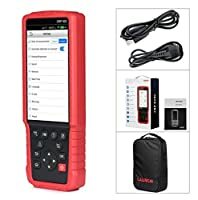 You will not experience lags or freezes with this scanner. Launch CRP429 is a powerful obd2 scanner that supports more than 30 brand vehicles. These include Cadillac, SMART, Chevrolet, AUDI, Hyundai, SEAT, Daewoo, KIA, Chrysler, Jeep, GM, Buick, SAAB, Porsche, Dodge, SKODA, Transporter&V-Class, BMW, Mini Cooper, BMW-Brilliance, Rolls-Royce, and more. This scanner supports almost every car that is manufactured after the year 1996 and has an obd2 system. You will not have to find a phone or computer to search for code related solutions. You can send and receive emails or surf the internet on this scanner. This scanner operates on Android 7.0 and offers a smooth and excellent experience. The screen (5.0 IPS) is also big enough and offers touch compatibility.Update your scanner so you can solve all kinds of issues as solutions become available. Launch brand is known for coming up with regular updates. Hence the company has made it easy to update the tool. Launch CRP429 offers a one-click update feature. There’s a separate dedicated update button on the scanner that connects you to the internet and updates the software automatically. When you buy this scanner, you’ll get one year of free updates. The specifications of LAUNCH CRP429. Works very fast thanks to the 1-minute diagnosis feature. Diagnostic reports show all the stored reports from cars. Looking at the advanced features it offers, it’s obvious that Launch CRP429 is meant for professionals and mechanics. 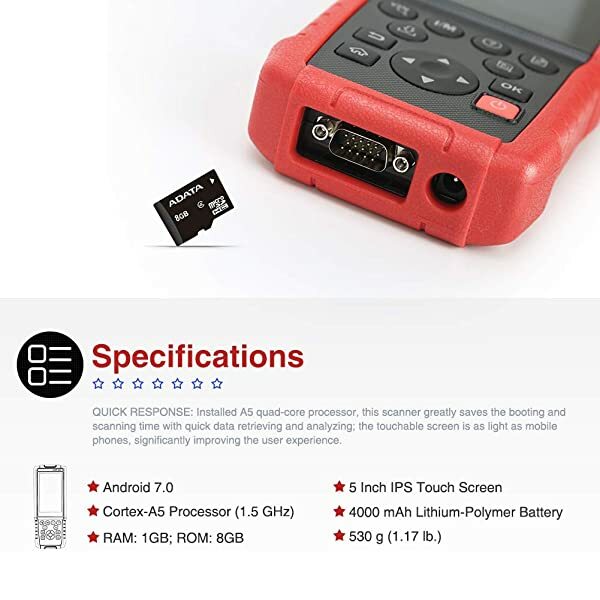 However, those who are interested in learning more about their cars can also try this car diagnostic tool. Launch CRP429 is an excellent obd2 scan tool that offers eight advanced features that will help keep your car in good shape. Even professionals can give it a try. Turn the scanner on and make sure there’s a stable internet connection. Visit the Settings menu and select Version. Select “Detect Current Version,” and it will automatically start the update if there’s a new update available. You can also update the software by pressing the update button on the scanner. Just make sure it is connected to the Internet. What’s the price for updating the software after a year? You will need to pay $100 per year to get the updates. 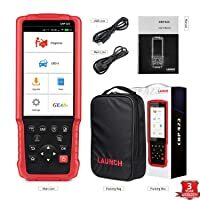 Is this a bi-directional scanner? It supports bidirectional tests in the ABS only. With this feature, you can both send and receive data from the ABS components. What’s the difference between Launch CRP429C and CRP429? CRP429C is an older model while CRP429 is an upgraded one. 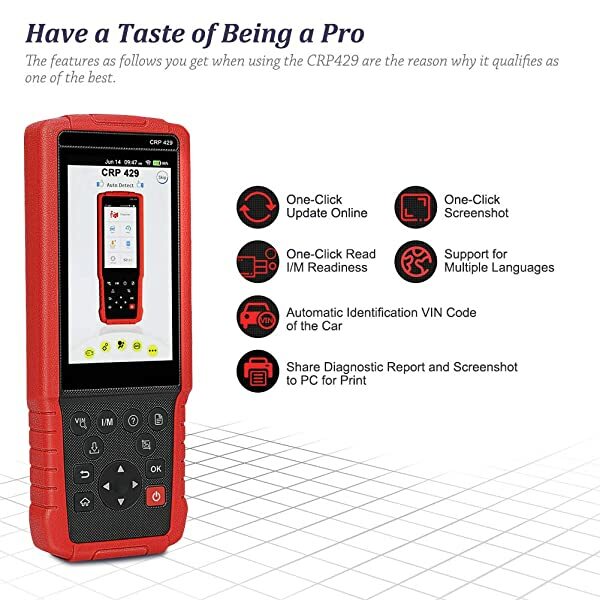 The CRP429C can only support ABS/SRS, transmission and engine system but the CRP429 supports all four systems and helps read and clear codes related to them. Also, it lets you read live data from these systems. Will this scanner work for motorcycles? It will only diagnose the OBD2 system in motorcycles.